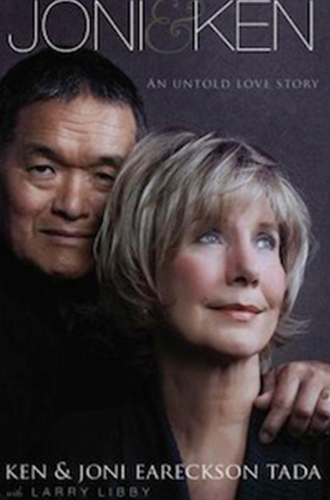 This is the true love story of Joni and her husband of 30 years, Ken Tada. A love story showing what it truly means for a man and a woman to live in love ... in sickness and in health. Even the honeymoon wasn't easy. Did Ken realize what he was getting into when he proposed to Joni, a quadriplegic woman? As their marriage years moved on, Ken became increasingly overwhelmed by the never-ceasing demands of caring for Joni, who begins to experience chronic, extreme, nightmarish pain. Ken sinks into depression, and the couple finds themselves on parallel tracks in life, married and living under the same roof but drifting apart emotionally. But as they fight for their marriage and find their way through the mazes of depression and pain, they wrap their two lives around their rock---Jesus. During Ken's denial of Joni's diagnosis, and Joni's thoughts of how wonderful a quick exit to heaven would be, they experience a personal visitation with the savior you will never forget.